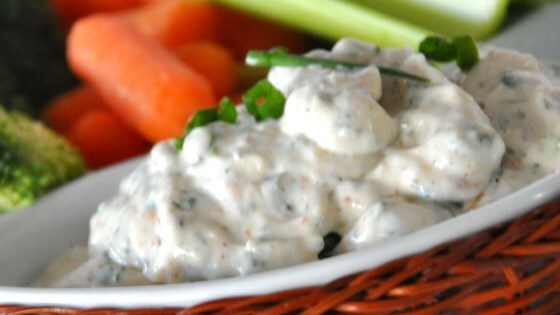 "This is a dip recipe I came up with to eat with raw veggies during my weight loss journey. Not only do I love it, but so do my family and friends. I keep copies of the recipe printed out for those who request it. This also makes a great dip for homemade jo-jo's or baked potatoes." See how to make a simple taco dip made with seven essential ingredients.